Chemonics International is a leading international development consulting firm based in Washington, D.C. with more than 25 years of experience implementing health programs in East Africa. 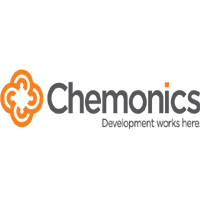 Chemonics seeks experienced professionals for an anticipated multi-year USAID-funded Malaria Bednet Delivery project in Tanzania. This project will aim to maintain high level coverage and use of long-lasting insecticide-treated mosquito nets (ITNs) for malaria prevention..
We are looking for individuals who have a passion for making a difference in the lives of people around the world. Please note that all positions are subject to program award. Please complete an application and submit CV and cover letter at:https://chemonics_nb.formstack.com/forms/tanzania_bednet_distribution by May 4, 2018. Applicants will be considered on a rolling basis. No telephone inquiries, please. Finalists will be contacted. If you have any issues with the form please reach out toTanzaniaBednet@chemonics.com, however, no applications submitted to this email will be considered.